In addition to the huge selection of exhibition stands that we stock, we also manufacture one-off designs. Over the years we have built up our manufacturing facilities so that we have all the equipment and talent in-house. We have the capability to design, project manage, fabricate and build any size and format of stand you may need. 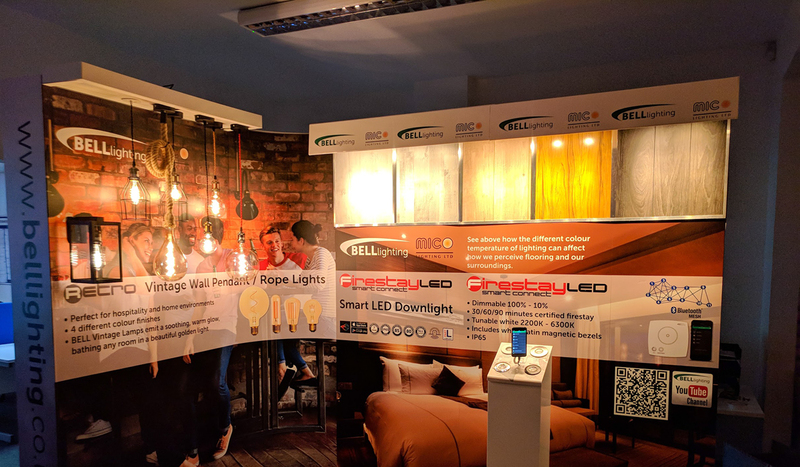 We have made bespoke stands for a huge range of exhibitors including automotive trade shows, leisure and hospitality exhibitions, construction trade shows and retail trade events as well as for sports events and visitor centres. When it comes to designing and manufacturing bespoke exhibition stands there are no restrictions. You can have a modular system, a framework and panel system or one that combines the two. We will work very closely with you to design a scheme that will give you maximum impact for your budget. Having ascertained the space you have and the budget available, CSDPrint’s exhibition team will take a detailed design brief from you. This helps us make sure that our designs meet your exact requirements. With the aid of 3d design graphics we will ‘walk’ you through every aspect of the stand including materials, power supply, lighting, graphics and hospitality facilities. Beyond the stand design we will take care of all the health & safety aspects, in fact everything even the brochures and giveaways you might need. There’s a lot to plan with an exhibition but with CSDPrint you can relax because we take care of everything for you. We have the expertise and all the equipment necessary in-house which means we can be creative, flexible and punctual. We know only too well how vital it is to meet exhibition deadlines. Give Dan or Gail a call if you’d like to know more about our special build capabilities.